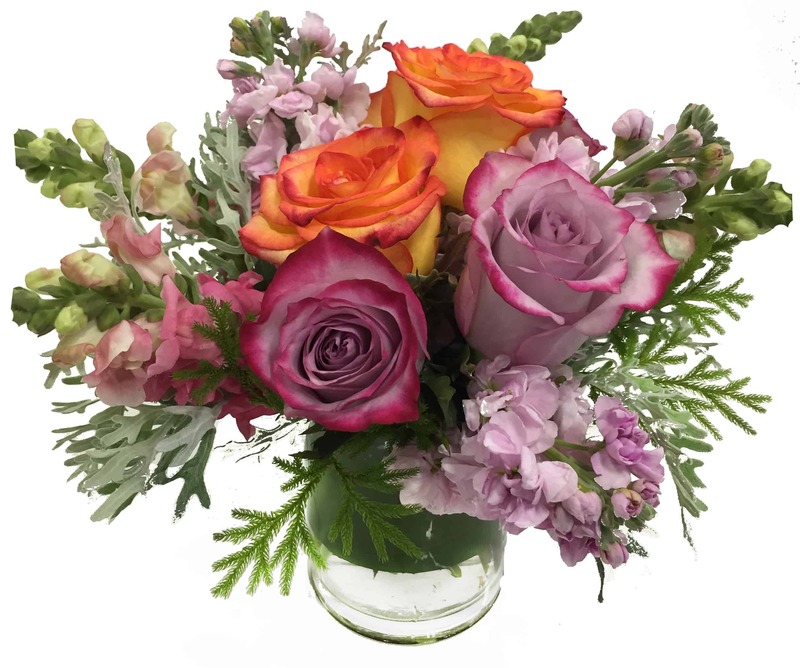 This petite and beautiful arrangement of Lavender and Tangerine Roses, Dusty Miller, Pink Snapdragons, and White Stock is sure to brighten anyone's day with it's soft warm colors and elegant beauty. It's absolutely divine with its full, plush, mini-round design! It works as a great accent piece or can be sent in celebration of any occasion. To really make an impression, you can order a larger version of this arrangement.